Things to do - Packwood wine estate launches "Breakfast & Bubbles"
Breakfast & Bubbles at Packwood Wine Estate; a new Winter countryside temptation not to be missed – WOW! If you are looking for something new to do in Winter, it’s time to wrap up warm, take in the fresh air, get out of town and spend the morning luxuriating in the countryside eating breakfast and drinking bubbles. We have recently introduced to Packwood lunchbox our breakfast and bubbles, an ideal way to start a Winters day or any day, Eggs Benedict and a glass of our bubbles, made with farm fresh organic eggs, lashings of hollandaise sauce and home baked bread, served with a delicious view over the estate, across to the majestic mountains and distant ocean. If we just take more time to explore our surroundings, we’d be surprised at what treasures await us! Have you tried our other wines? 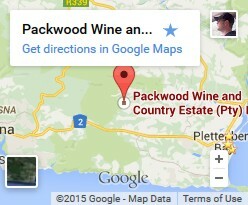 Book a wine tasting at Packwood!